At last week’s Mortgage Forum, Kyle Davies from Bond Brand Loyalty let us peek into the minds of mortgage consumers. 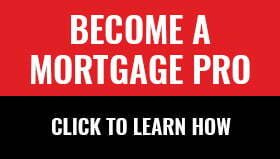 Mind you, up to 7% of Canadian mortgages may be considered sub-prime, so this number is far from startling. Even prime borrowers undergo unexpected life events (income loss, divorce, etc.) that lead to desperation. Size isn’t everything, but: The vast majority of Canadians are comfortable with their mortgage amount. Just 4% of borrowers “definitely regret” taking on the size of mortgage they did. Similarly, only 3% were “very uncomfortable” with their loan-to-value ratio. Down payment assistance: 45% say they would not have been able to make the down payment they did without outside help. Potential shut outs: If Ottawa raised the minimum equity to 10%, 7 in 10 said they could afford a down payment that big. That of course leaves a material minority who could not — which suggests a 10% down payment could knock a leg out from under the market, at least temporarily. Retire someday: 1 in 5 plan to defer their retirement because they will still be in mortgage debt. Application tales: 6% of mortgage-holders admit to “stretching the truth” on their mortgage application. This number is the same in the bank and broker channels. Of course, some people won’t admit to wrongdoing on a survey. Shop till their rate drops: 65% of broker customers got more than one quote. That compares to 47% of bank customers. The average broker client got 2.5 quotes, versus 1.8 for bank customers. Getting some satisfaction: 45% of broker clients said they were “very satisfied” with their mortgage experience, versus 39% of bank clients. Don’t forget me: 75% said they want their mortgage provider to contact them after closing. A simple “Thank you for the business” is all that many expect. Others find value in periodic rate updates, info about refinance options and so on..
We’ll cover Mortgage Professionals Canada’s full consumer insights report later this year.